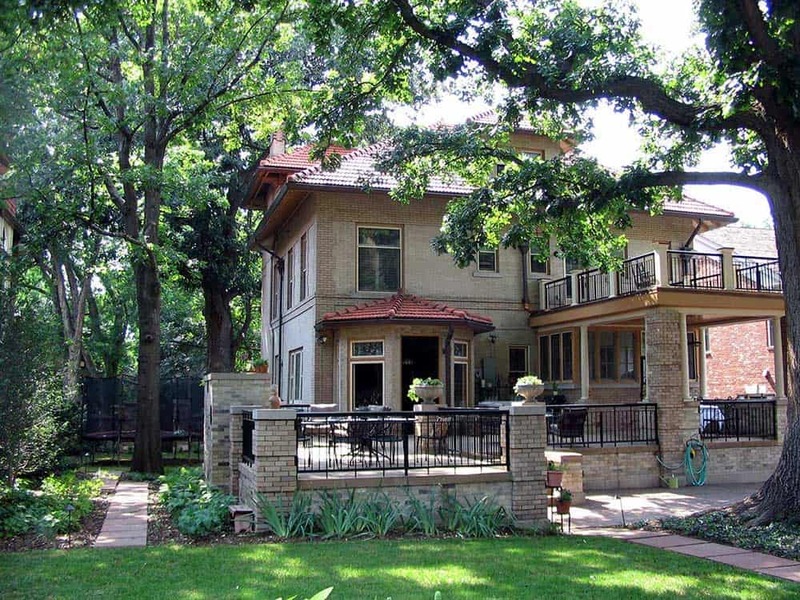 This historic 1904 “Italianate” Humboldt Street Historic District Landmark home is situated on a large lot backing to Denver’s Cheesman Park. The project included the careful integration of a new 2 car garage with an adjacent outdoor trellised patio, a large, new raised stone patio with covered dining, an outdoor fireplace and extensive landscaping. 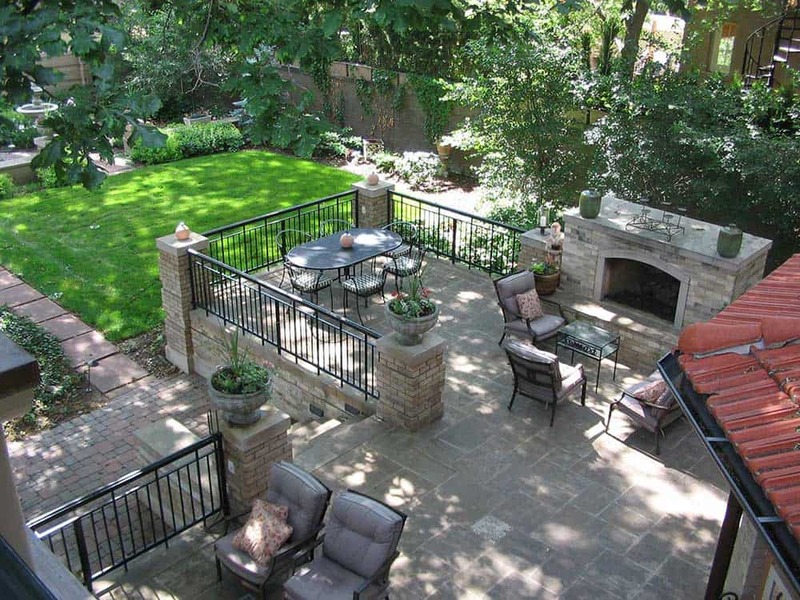 One goal was to provide expansive outdoor entertaining areas for the homeowner’s frequent social gatherings. Each component is carefully designed to enhance the existing landmark structure. 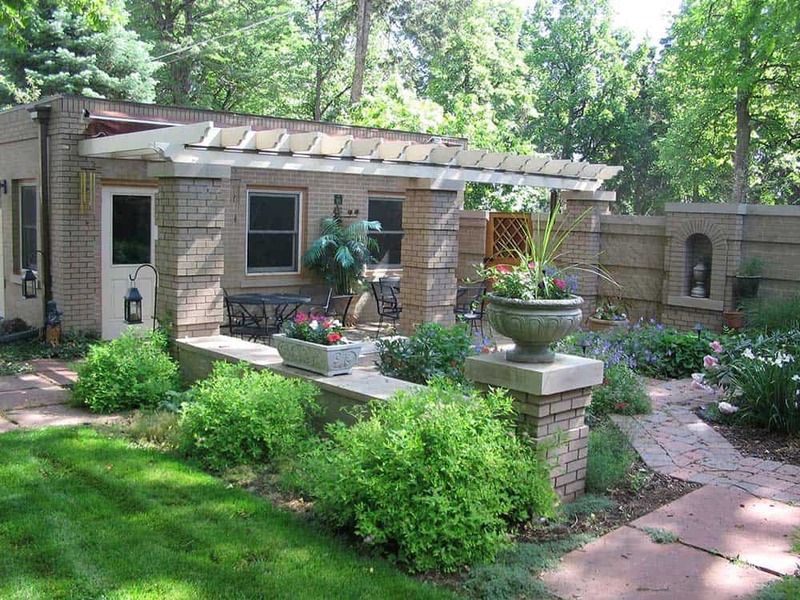 New masonry landscape walls define smaller garden areas and provide outdoor seating walls. Fine masonry detailing combined with a generous scale and proportion of massing and materials set the tone for the added program elements. Careful selection, scale and detailing of the masonry materials seamlessly tie the new additions to the existing home. 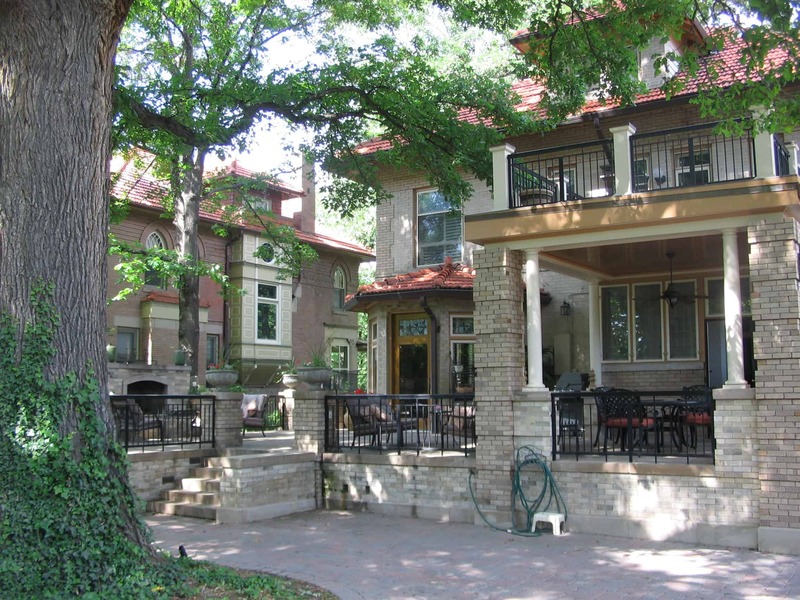 Brick, sandstone, wood trellis and columns, and metal railings all reflect back to the rich materials of the era.